I finished this little dress when I was in Germany with my Mum, I know I’ve given you some teasers. Here, finally, is the finished piece. This little dress is for friends of ours (but it’s a surprise yet, so I can’t reveal who they are). It’s such a neat pattern, and I especially like the flouncy skirt, it’s a pattern from Garnstudio. The pattern actually calls for a different yarn, but I decide to go with Drops Safran, as I had some left over in my stash and I wanted the dress quite airy and for hot weather. The pattern is really, really nice to knit, and it has such great details, the skirt and the top just come together so nicely. 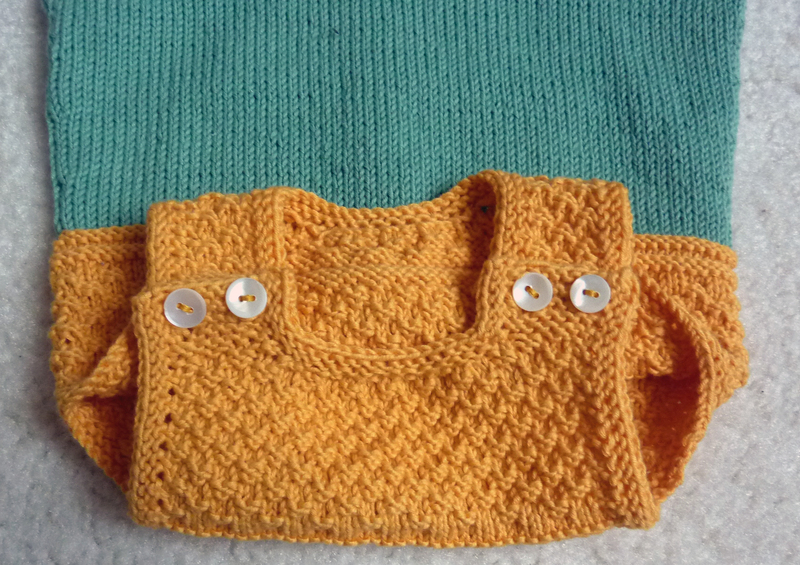 I love the double moss stitch of the top, it just makes it look so adorable! 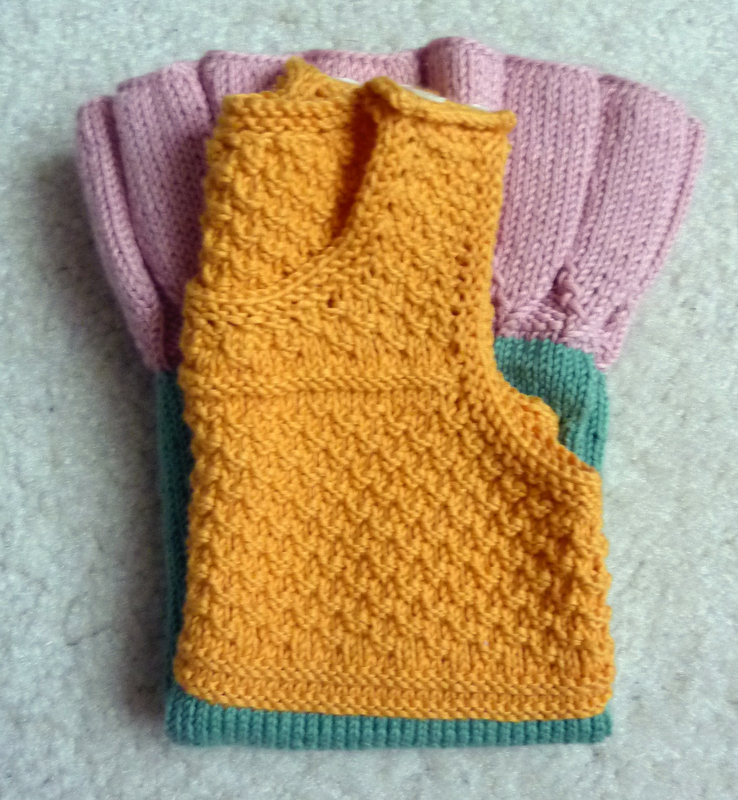 I didn’t exactly pick the colours, but rather used three skeins of yarn that I had left over. I actually think the colours worked out really well! I love the little pink skirt and then the turquoise body part just works really well and the yellow ties it off very nicely! 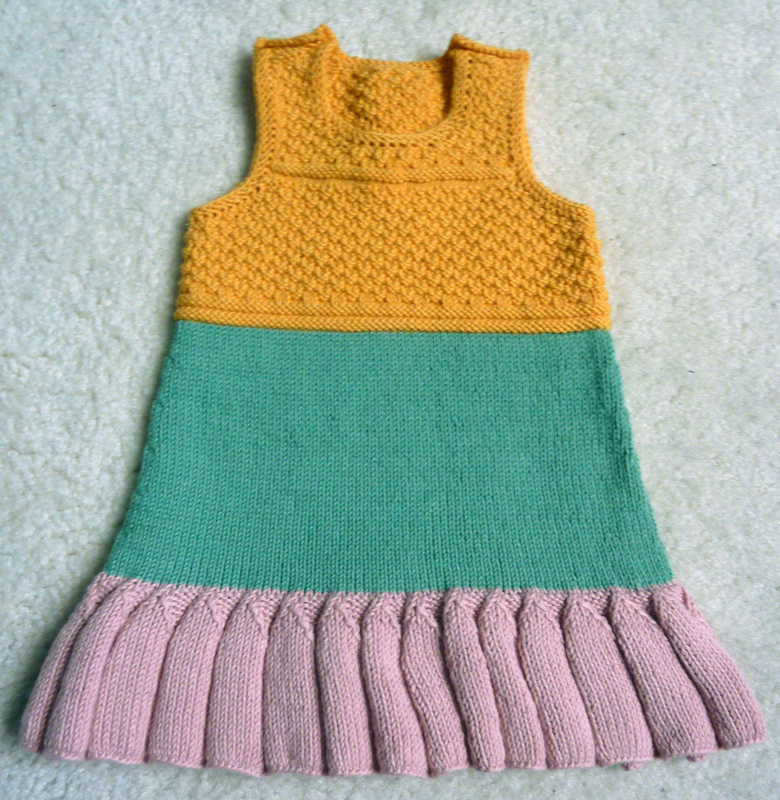 This entry was posted on November 1, 2011 at 9:15 pm and is filed under Baby, Knitting with tags baby, baby dress, baby girl, dress, girl. You can follow any responses to this entry through the RSS 2.0 feed. You can leave a response, or trackback from your own site. What a pretty little dress. 🙂 I like the skirt as well; definitely not averse to some frilly bits occasionally! I love the skirt …. very pretty . Such a very pretty dress. I am sure the recipient will love it! 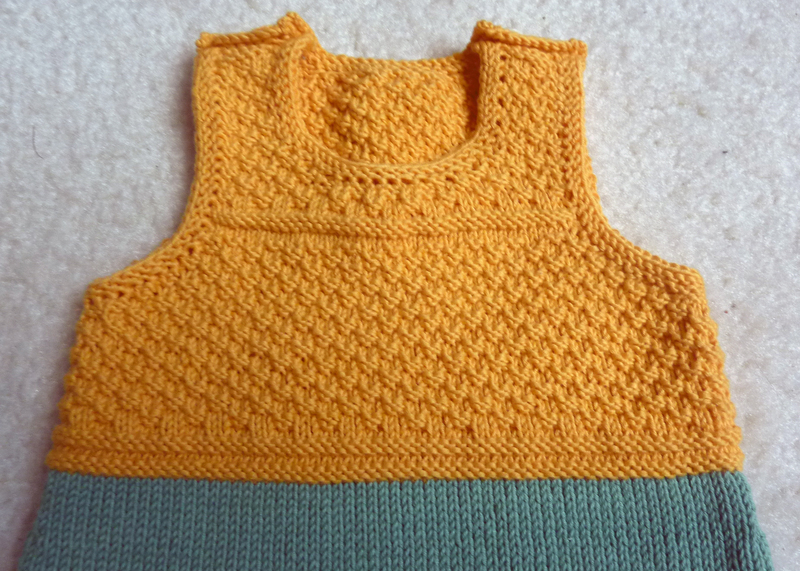 I love the textured stitches on the top – very nice. it turned out completely adorable!